To Identify and support case management for Persons with Specific Needs (PSN) and older men, women and their immediate family members and ensure their engagement in the project activities to improve their protection and well-being in the camp through routine home visits, care and support. 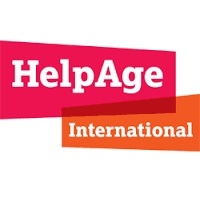 HelpAge is seeking a social worker with GBV skills to conduct all steps of the case management process for an assigned number of GBV survivors and women and girls with specific needs at risk of GBV. Case Worker may be Centre based or work as part of a mobile outreach team. Strong awareness of and experience in working with issues around gender, discrimination and the rights of vulnerable women, men and girls with disabilities will added value as essential for this post. Collect and report information about the living conditions of PSN/older people, their primary concerns and immediate response needs, from extremely vulnerable Individuals (EVIs) through daily home visits and care. Liaise with other partner organization on ground for inclusion of PSN/older people in the targeting and service delivery at camp level. A bachelor’s degree or Diploma in social Works/ Community Psychology, Community Development or Sociology. Understanding of protection and human rights issues concerning the refugees a plus. Able to maintain a high level of ethical standards. 2- 3 years of work experience in social work or health. Honesty, trustworthiness, integrity, respect to diversity, flexibility to work extra hours and under pressure to deliver to tight deadlines. Kanyamahela Street Opposite Cheyo hotel. HelpAge is an equal opportunity employer. Any form of solicitation directly or indirectly will lead to immediatedisqualification. Deadline: 06th July,2018 at 16:30hrs TZ time. The Worker will conduct all steps of the case management process for GBV survivors and women and girls with specific needs at risk of GBV.